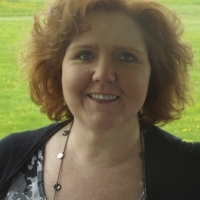 Hi, I am a Clinical Social Worker licensed in Maine and Idaho, with over 18 years of experience in the field. As a therapist in a local mental health practice, I have worked with clients with a wide range of concerns including depression, anxiety, relationship issues, parenting problems, grief and loss. I have experience working with men, women and teens. I am comfortable and experienced in working with clients of all different faiths and cultures and am an LGBTQ affirming therapist. My work as a Certified Trauma Professional has given me a great deal of experience working with people recovering from physical or emotional trauma and abuse. I have a particular interest and expertise in working with individuals struggling with anxiety and self esteem issues. My counseling style is supportive and I believe in strengths based treatment which includes respect, no judgement, and meeting an individual where they are. My approach combines many different treatment methods and strategies, all tailored to meet your specific needs and comfort. I believe you will find me to be an empathetic listener who is ready and willing to join with you in addressing the issues that you want to tackle. We will uncover old and new healthy coping skills and put new "tools in your toolbox". I am available for phone or video sessions by appointment and take care to respond to messages regularly. I typically log in to read and respond twice a day, five days a week. My usual days off are Saturdays and Sundays, as well as any major holidays. It takes courage to seek a more fulfilling and happier life and to take the first steps towards a change. I am a firm believer in the importance of the therapeutic relationship and if you are ready to begin, I am here to support and empower you. Tami has been a godsend to me. I can honestly say that I’m not sure my relationship would be successful if not for her excellent advice. I have worked with Tami only for a short time and have found her to be extremely responsive. She also has a comforting presence even on the phone and wants to help me get to the root of my problem. If you have ptsd, and need help coping, Tami’s the one! Tami is such a great help. Very kind and full of little pieces of wisdom. She's a calming personality. I highly recommend her. She's great. Always there when I need her and helps a lot. Tami listens well and asks on-point questions. I trust her. Tami is so easy to talk to and has made me feel very comfortable sharing things about myself that I normally wouldn't share. Her responses feel empathetic and she offers many different suggestions to help me find my best path to healing. Tami was awesome and singled in on a key issue I was struggling with. Her advice and support definitely helped me. Tami is very helpful, understanding, and responds within 24 hrs. This woman is amazing.. All the things she has offered me has helped from the beginning.. The money is worth it.. The time is worth it. I love how Tami takes time to understand my feelings and sees what thing work better for me.. I would recomend her 100 times.. She is a great listener and amazing counselor! Thank you for everything that you have showed me.. You have brought out the best in me and for that I will be forever grateful! Thank you so much for being available! Tami is a wonderful caring individual who takes the time to respond with very insightful comments. She has really helped me! Tami is absolutely amazing. She gives great advice, gives you the whole picture, and truly believes in putting your needs first! Tami has offered some great and manageable strategies to help me move through some issues I was facing. Tami responded to my concerns in a very timely manner. I also felt thoroughly heard and supported. I also enjoyed the idea that when I felt a need to express what was happening in my life, I had a place to share my feelings, knowing Tami would be there to give sound advice. Tami is available at the odd hours, which is awesome for me because I'm usually awake during the odd hours. She's quick to respond, and even during my short absence, she still dropped me a few lines here and there to check on me. Tami has helped me SO much. I've struggled with anxiety for years, and her encouragement and supportive attitude have made a huge difference for me. She is a very kind listener, and she's made it much less scary to open up -- I know she's always "on my side," ready with compassion and tons of practical ideas and techniques for me to try. And I'm so proud to say that I recently accomplished my biggest goal: after working with her for 2 months, I passed my driving test! My life is changing for the better, I feel much more confident, and I just can't thank her enough. It's been a great experience! Tami has helped me a great deal. I have been working her for about 3 weeks. She has guided me back to a more positive way of looking at every day life, as well as a more positive way of thinking and speaking. I look forward to continuing to work with her. Tami is very kind and helpful. I've been to a handful of people before coming to BetterHelp and she is the first one I've felt actually cared and wanted to help me. I feel comfortable sharing my thoughts and feelings with her which I think is key for getting the help you need. Open communication is key. I would highly recommend her. Would you like to write a review for Tami Labul? We'd appreciate if you can spend a couple of minutes to write a short review for Tami Labul (LCSW, MSW). This review would be shared with Tami Labul. It may also be posted in our website or in Tami Labul's profile but it would be anonymous and your identity would be kept completely confidential.